Wednesday Poll: Verizon’s Roadmap Leaks, Which Phone will be Yours? A roadmap for Verizon’s Spring lineup of phones may have leaked out this morning giving you the schedule for a one of the most impressive collections of new phones we’ve seen on a carrier in a while. You’ve got dual-core options, 4G LTE options, 3G-only phones, 4″ and 4.3″ screens, Gingerbread, skins, gaming pads, and a ton of power. How on Earth will any of you decide? And I have a feeling I know which phone you are all waiting for, but let’s vote it out and see. 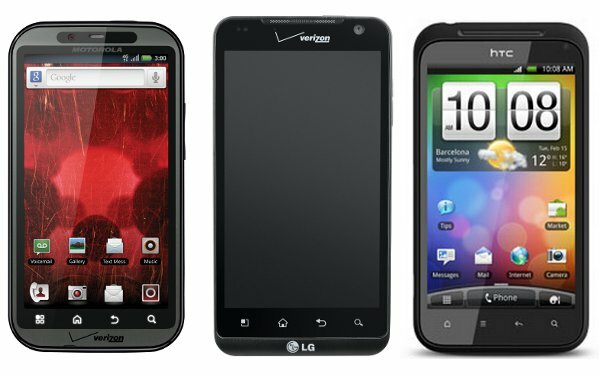 Which of Verizon's Spring phones will be your next? None of them. Still waiting for something else.